On Trend Jumpers In The Sale! Even though the sales have been on for weeks, there are still some fabulous bargains out there. Unless you are buying a timeless classic, the key is buying pieces that are relevant for the season ahead. With one of the huge trends for SS13 being monochrome and bold stripes I have selected a few fabulous finds that are bang on trend for the months ahead. There's no better purchase than a cosy jumper at this time of year which will freshen up you wardrobe whilst still being totally wearable and on trend! Check out the catwalk images below to see the key designers featuring this trend, (just click an image for the gallery) and then my fabulous finds to embrace the trend right now AND at a bargain price! 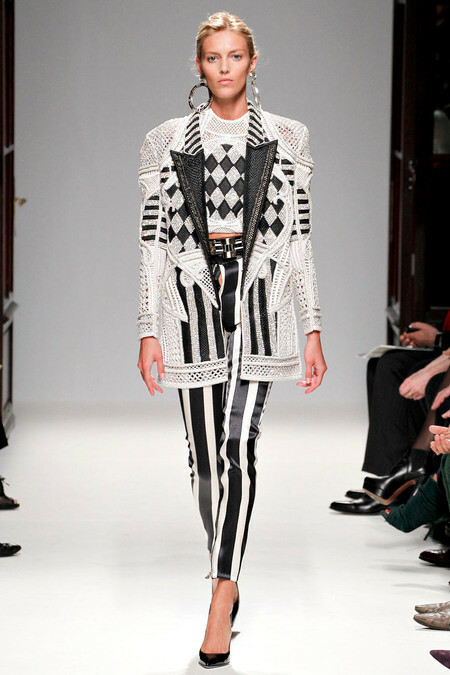 A wool blend chunky knit jumper in a jacquard knit and bold graphic check. It also has cool silver zips on the shoulders for added detail. 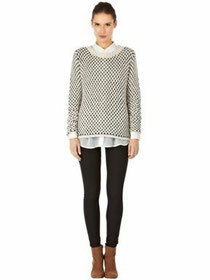 For a more subtle take on the trend, this cosy monochrome cross stitch jumper does just the job! It also has a split back hem detail so has wow factor on the reverse too. Sizes are limited but House of Fraser still has other sizes in stock. 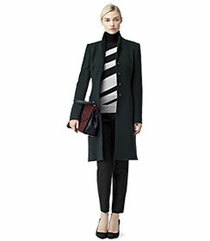 A lightweight wool blend jumper perfect for the office with a pencil skirt or tapered trousers.